You know those times when life tilts to crazy and you just want to crawl into a hole and escape? Into my hole, in the form of the basement workshop, I did. Nothing tunes out the chaos better than cranking up the music, pulling out a can of paint and escaping into the creative zone for a few hours. 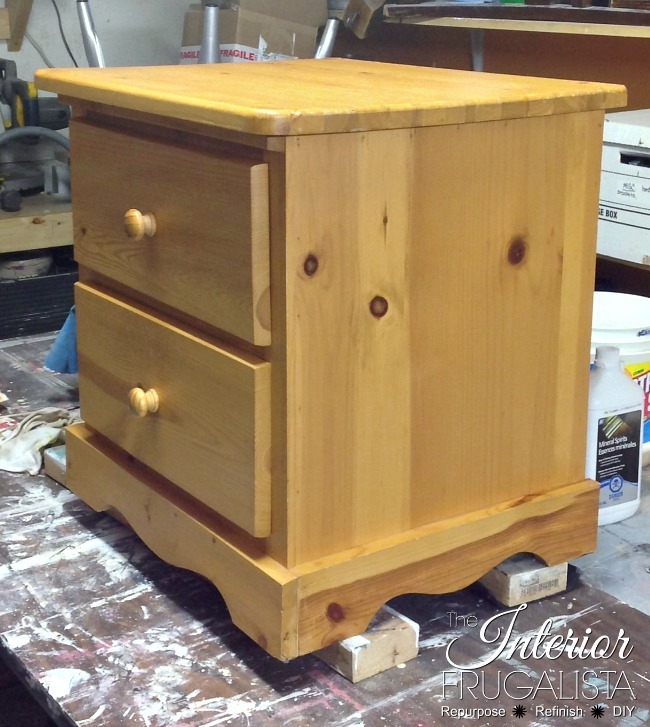 While out browsing the thrift stores on his lunch hour, Mr. Frugalista texted me one afternoon asking if I could do anything with a very plain pine two-drawer night table. Heck ya and how soon can you get it home? 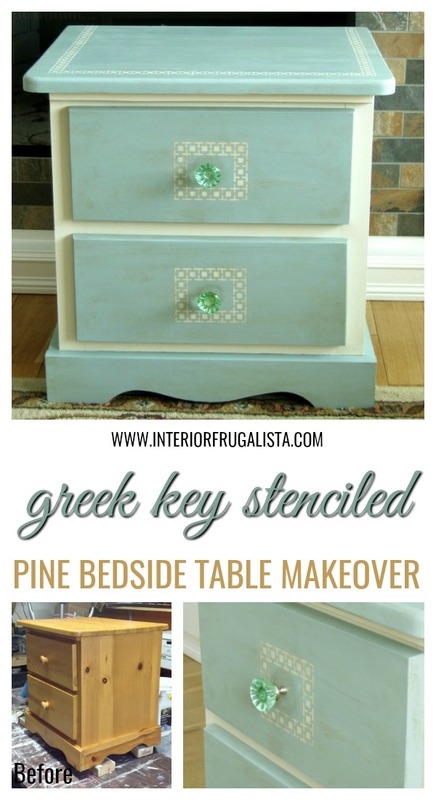 So when the need to escape arose I grabbed my Martha Stewart Arabesque stencil pack and got busy with this greek key stenciled beside table makeover. After a good scrub with soap and water, I roughed up the pine with an 80-grit sanding sponge to give the paint some bite. 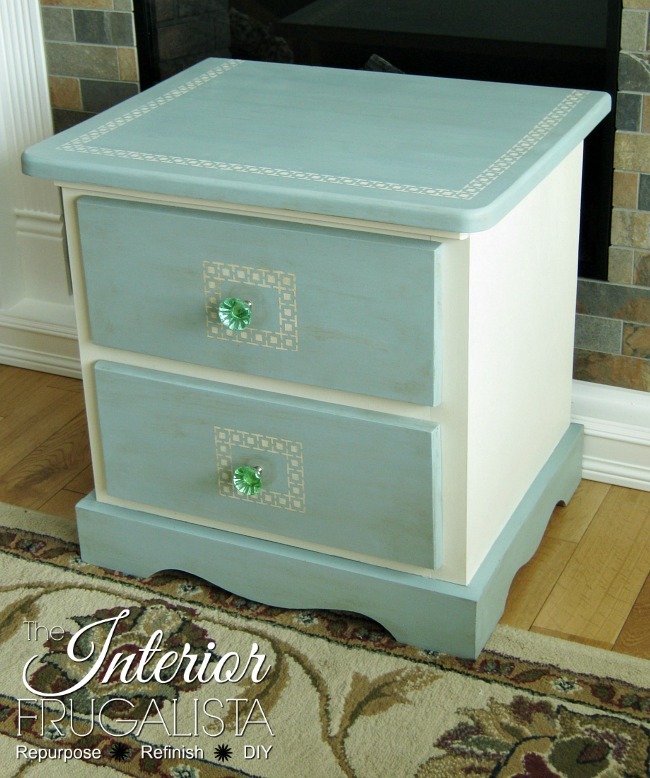 The table was painted with two coats of chalk paint from the Country Chic Paint line in the colors Vanilla Frosting (a creamy white) and Elegance (a beautiful soft blue-green). 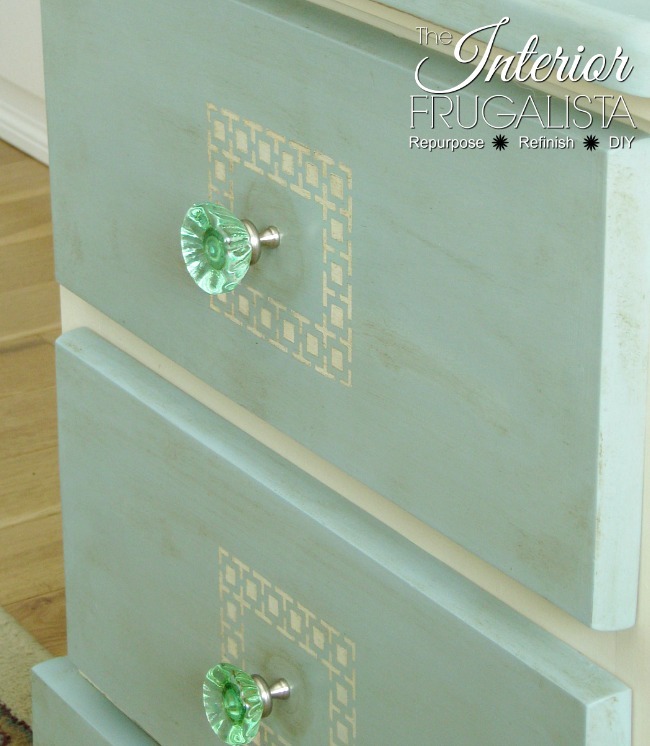 Elegance is one of my favorite colors in their chalk paint line. 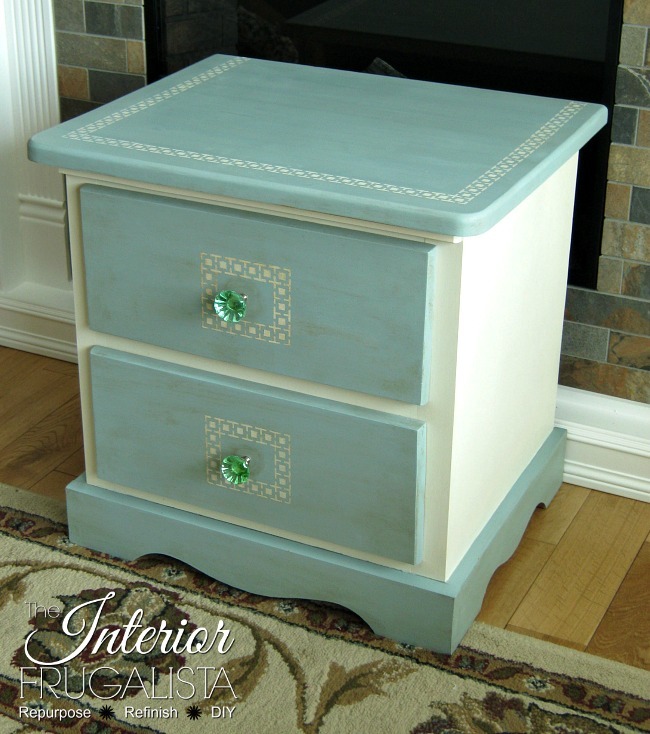 To add some personality I used the Greek Key stencil from the Martha Stewart Arabesque Stencil pack along the top edge and center of each drawer front using the same Vanilla Frosting chalk paint color. 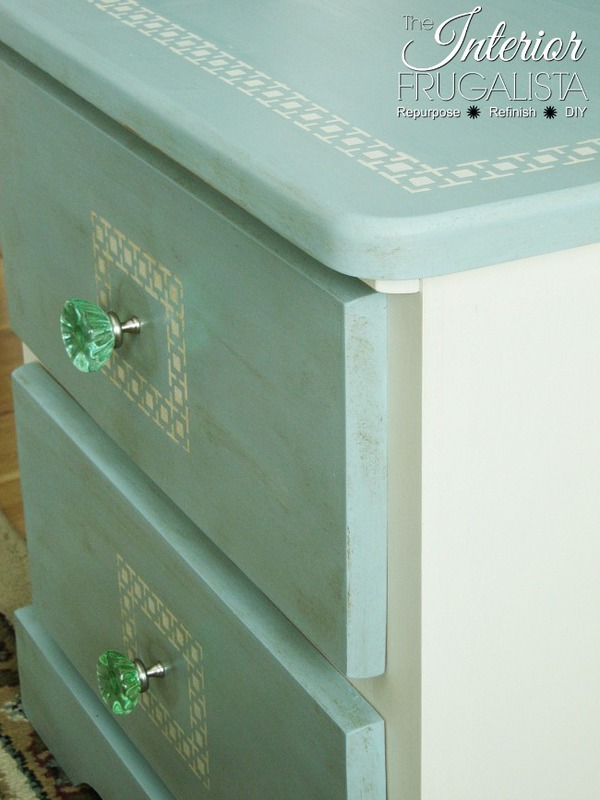 The pretty green glass knobs I had in my stash and were perfect to add some bling to this piece. The night table was protected with clear wax and to give it a timeworn appearance, dark wax was applied around the bottom skirt and where hands would normally grab the drawers to open and close. 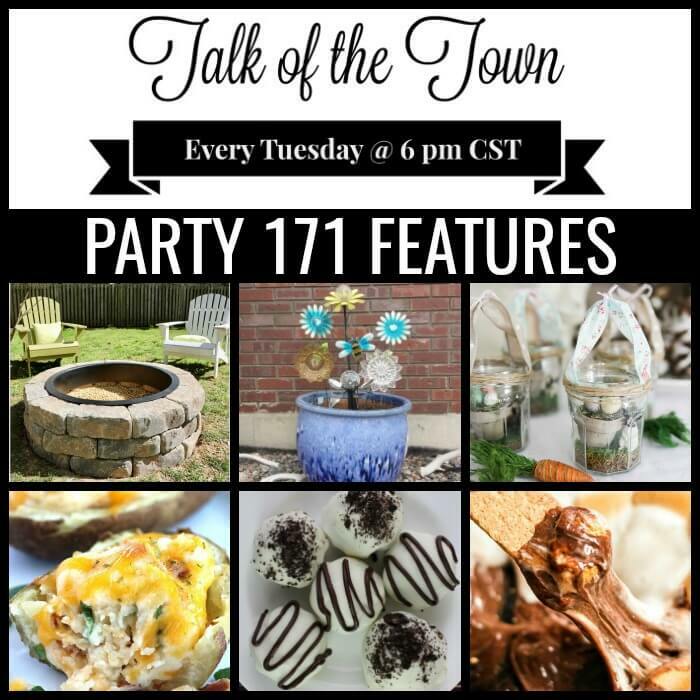 Disclosure: I've included affiliate links in this post so you can find some of the products I used or recommend to complete this project. 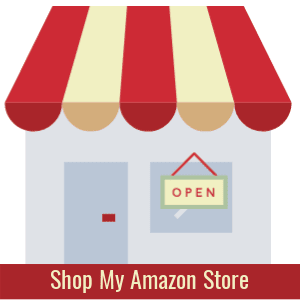 What that means is that if you click on one of the product links and make a purchase, I may receive a small portion of the sale at no additional cost to you which helps support the costs of running this site. See my disclosure policy. I'm so glad I decided to escape the chaos for some chalk paint therapy. 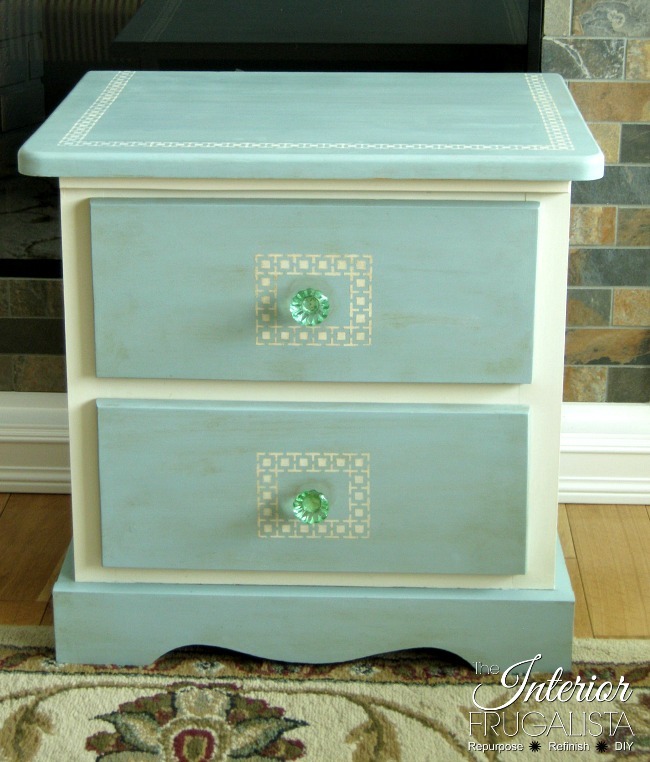 It certainly helped to improve both my mood and the pine night table that went from blah to ooh la la. I'm happy to report that it sold very quickly and was paired with my Vintage Headboard With A Touch Of Elegance makeover for my client's guest bedroom. 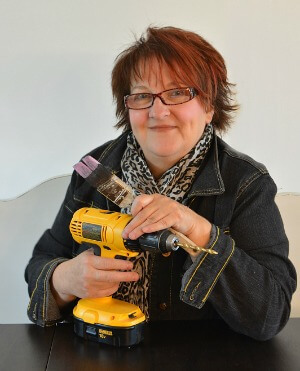 Are you like me when life gets overwhelming and escape by doing something creative? I'd love to hear about it in the comment section below.